Should we expect touch up paint upon the completion of the job? Yes. Although we are very conscientious while working in your home, due to the amount of labor, materials and tools required to complete the project you should expect some touch up on trim and/or walls. Do you offer dustless sanding? We do use dust containment systems however they are not dustless. There is still a small amount of dust that is created during the sanding process. Can I afford hardwood floors? Due to the innovation in the market today there are hard surface floors that can meet any flooring budget. Are my hardwood floors warrantied? For site finished flooring we offer a 1 yr warranty for all workmanship. The material has a lifetime structural warranty. Site finished hardwood floors will expand and contract with the relative humidity in the air from season to season. For this reason we can’t warranty the movement. 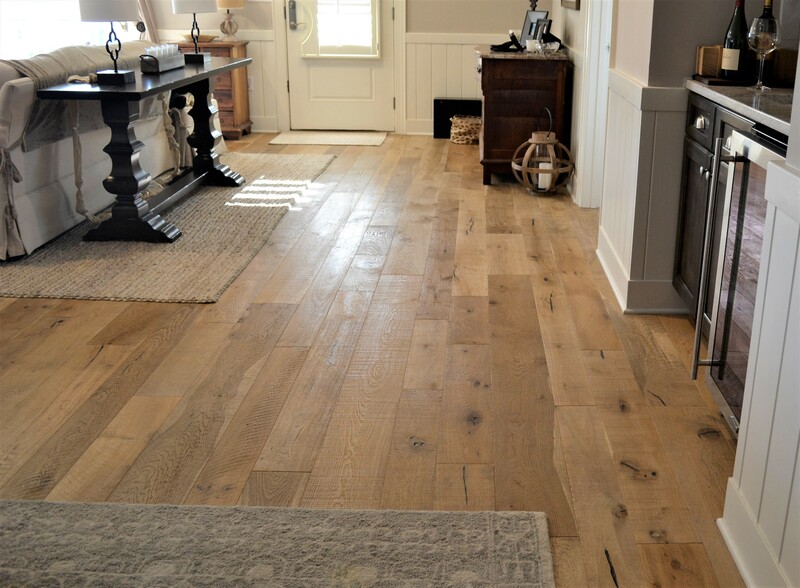 For prefinished flooring there are various warranties offered depending on the manufacturers. Please ask your salesman to describe the warranties when choosing your flooring. Due to liability reasons we try to move as little furniture as possible. However we do work with local moving companies to provide a solution, before and after completion of the job. Can we stay in our house while finishing our floors? Depending on the layout of your house it’s usually difficult to have access to other parts of your house during the dry time. Most clients tend to leave their homes during this process for this reason as well as because of the amount of fumes that are created. We take cash, check and all major credit cards. Invoices paid using a credit card will be subject to a 3% processing fee. How long should I wait before moving my furniture back in?